Hi Friends: Today's creations are all about cards being created for a donation to my church. Here's the birthday floral card. Hope you enjoy it - see below for process, challenges, and products used. Thanks for taking a peek! I started with an A2 card base. I cut 2 panels using my Stitched Rectangle dies - the larger from the Razzleberry paper and the smaller from black card-stock and layered them on the card base. 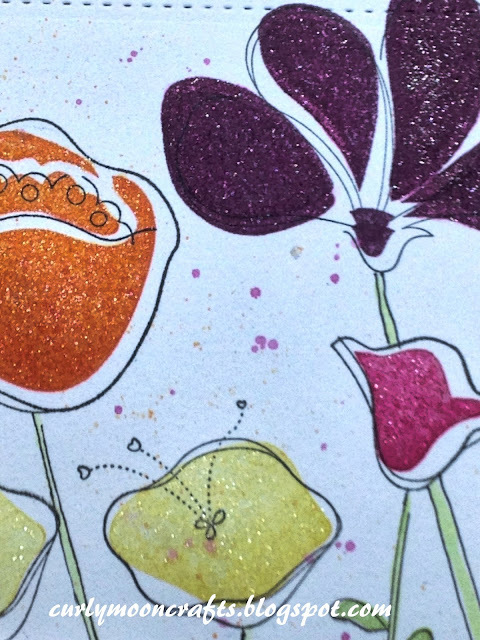 On a panel of white card-stock, I used the Stampin' Up! Awash with Flowers set and stamped the flower / stem / leaf outlines in black ink, then overstamped with the fill-in stamps using the Stampin' Up! 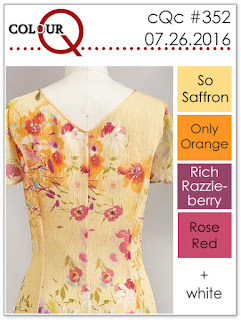 colors listed below. I added some ink splatters using the same colors. Next, I cut the stamped panel using the next smaller size stitched rectangle die, added the baker's twine, then adhered it to the card front with fun foam. On black card-stock, I stamped the sentiment with Versamark Ink, then added white embossing powder and heat set it. I cut the sentiment using the Stampin' Up! Bitty Banners framelits die and added it to the card front. To finish the card, I added shimmer to the flowers with my Wink of Stella clear pen. Labels: Cards, cQc #352, Stampin' Up! 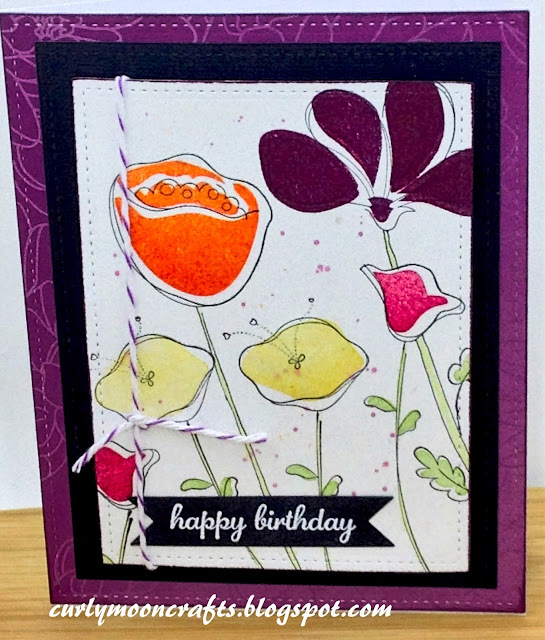 Love these pretty, whimsy patch of flowers and splashes of color in the background! Thanks for joining us at ColourQ! What a lovely group of wildflowers! This is wonderful. Thanks for joining us at ColourQ!